Home>>Good Distribution PracticeAssociates>>Do you know what you are doing? You may be surprised at the number of enquiries we receive from prospective clients who want to get a WDA (H) (wholesale dealer authorisation for medicines for human use) and start what they think is an “easy” business. Everyone needs drugs, right? A safe investment for the future is medication wholesale? • Costs to gain a WDA (H) can vary significantly depending on who you commission to assist you, and the type of wholesale business you are setting up. A Quality Management System and extended costs for a small pharmacy “skimming” site is very different to a business handling high value cold chain products. 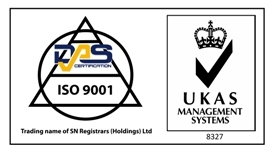 • Your Quality Management System is central to your operation, and should be bespoke to your business. It is ill advised to borrow another businesses documents and fail to understand what they mean or tailor them to your business. • If you don’t have a Responsible Person (RP) you will need to employ a Contract Responsible Person (Contract RP), and this alone can cost a pretty penny. • If you do have an RP, they will require regular training, as will any staff. • Fridges and other equipment, including computerised systems, will need to be validated. • Much of this equipment will also need annual servicing or calibration. • Contracts need to be written with third party contractors. • Do you already have a site in mind? Is it freehold or leasehold? What is the outright cost, rental cost, and ongoing cost? • Is the fabric of the building good? Are you at risk of pest infestation, damp, breaking and entering? • Do you have alarms in place? Surveillance systems? Insurance grade locks? • Do you have customers, and more importantly do you have SUPPLIERS? Good suppliers, who offer high quality product and excellent customer service. • MHRA inspections can be expensive, especially if you perform poorly and become subject to sanctions or a shortened inspection period. Dot your i’s and cross your T’s and do what you should be doing, and chances are you’ll see a lot less of the inspectorate. Any of the above can potentially increase your risk and costs when they start to add up. Aside from these basics, there are other things to watch for. Ever heard of the term “there’s no such thing as a free lunch”? If a company is telling you something that seems too good to be true, for example underwriting your wholesale application, and offer to pay for your licence, then think before you leap. • Understand exactly what is on offer, what your commitments are, and HOW the third party will procure product for you. • If you cannot access product from a manufacturer, but someone else can ship volumes to your site, you really need to know the how’s and why’s, or you may be in for a nasty surprise. • How long is your contract and can you easily stick to the terms? If unrealistic you may end up liable for the full set up costs, which can be above market rates. If you are approached by an individual or a company suggesting “we know people in the purchasing department, and can get your quota increased” then you should take a breath and consider your options. Does this seem like a legitimate method to secure product? Your default position should be that NOBODY is working in your best interest, until they can prove otherwise. Always ask for personal and professional references for people you plan to work with long term, and do your homework. Some pharmacists have since discovered the above to be the case, and been implicated in fraudulent presentation of prescriptions to secure drug stocks. GPhC have been very interested in pharmacists “obtaining medicines by deception” but no matter who you are you should always check suppliers, customers and third parties to ensure that they are not only licensed to carry out their activities, but wherever possible ensure that they are compliant with GDP and the law. You will not be able to audit every supplier, so must take a risk based approach and double check what you do – for a company you buy a few generics from a couple of times a year, you would have a lower perceived risk to a company that handles regular, high value orders. In the same vein only having one customer is a huge risk to your business. Spreading the load and not having all of your “eggs in one basket” makes good sense too. Despite the “it’s easy…” claims of some of those in the market, Good Distribution Practice and wholesale needs to be taken seriously and the risks must be managed appropriately. And we know how. Contact us.